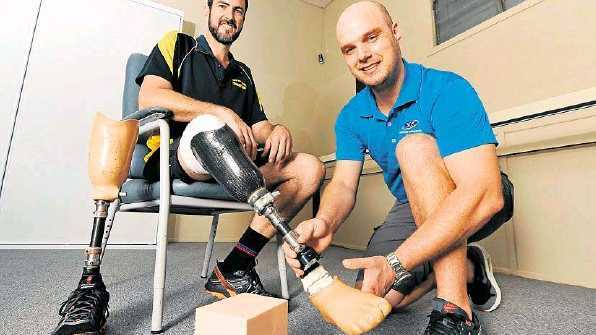 Dewet Heyns gets Marc Burton’s prosthetic leg ready for this weekend’s Tough Mudder. AMPUTEE Marc Burton is known for taking on some of the toughest physical challenges. And Sunshine Coast orthotist Dewet Heyns is making sure Mr Burton's alloy leg is up to the task. Mr Heyns hopes the leg will help Mr Burton when he tackles the gruelling Tough Mudder challenge this weekend. Preparing it for Tough Mudder involved state-ofthe-art design and duct tape. "We will duct tape the socket to protect it from mud and other stuff," he said. Mr Heyns works for Sunshine Coast Orthopaedic Services, the only prosthetic leg manufacturer on the Sunshine Coast. He has used Ossur, the same prosthetics manufacturer as controversial blade runner Oscar Pistorius, in building the perfect artificial limb for Mr Burton. Ironically, Mr Heyns hails from Pistorius's hometown, Pretoria. He moved to the Coast after a stint in Brisbane two years ago. 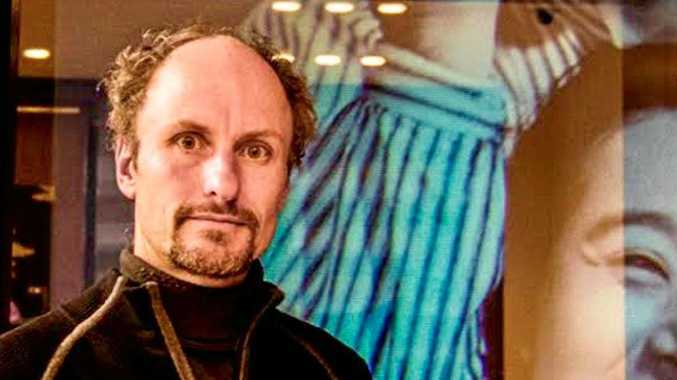 "We received the prosthetic contract in November 2011," Mr Heyns said. "There are more than 500 amputees on the Coast." Having the service available is saving many people from having to make a trip to Brisbane. He said Mr Burton's leg differed from Pistorius in that his was more of a "crosstraining foot". Mr Heyns said technology had advanced significantly in the past seven years, giving amputees many more options. However, he didn't believe it gave contestants an edge.